I hope you all had a wonderful time with family as you celebrated the birth of Jesus this Christmastime. I was blessed to be able to spend time with my family and some of my extended family. My son, daughter-in-law and grandsons joined my husband our daughter and I for dinner Christmas Eve - and of course, to exchange gifts. This year, one of the things we gave the grandsons was three $5 bills each. I decided to wrap them in different size boxes and went through the house to find - and in some instances, raid boxes. I ended up with an interesting mix . . . an empty bandaid box, a box which had cold pills in it and other miscellaneous boxes. When Caleb opened one of his boxes and discovered a box of what he assumed was bandaids he said; "It isn't like I'm going to complain, but why would you give me bandaids?" Then Josiah opened a box and with a puzzled look on his face said; "Well, mucus relief could come in handy." 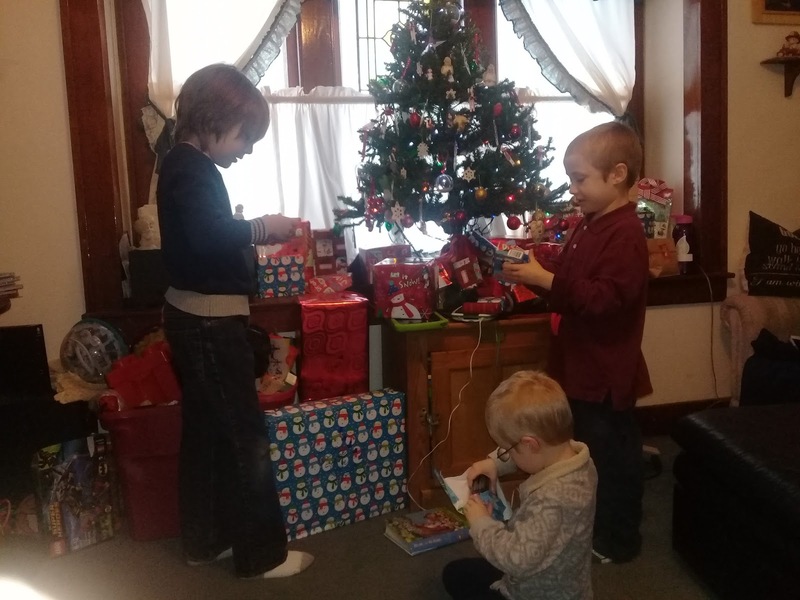 When they opened the boxes and discovered the $5 bills, they were happy - and relieved! They thought their grandma and poppa had lost it! Cold pills and bandaids did not seem like a "poppa and grandma gift"! I'm so happy to see my six and nine year old grandsons are learning to be gracious - and laughing about it still today!